The NFL’s third week provided us with another debut for a UTSA alum and some bad news for another, while former track star Teddy Williams remained inactive with the Panthers, depriving us of our first Roadrunner vs. Roadrunner action of the year. 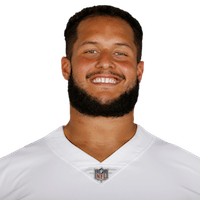 Last Thursday, the Green Bay Packers announced that they signed UTSA alum Brian Price from the practice squad to the active roster, and he immediately received praise from an NFL personnel executive. Price saw the field on ten snaps (15%) and “didn’t look out of place,” which is high praise for a rookie making his NFL debut. The Packers have been riddled with injuries on the defensive side of the ball, making Price one of eight rookies to get playing time for Green Bay in Week 3. On a weekend that Roadrunner fans already wanted for forget, we were hit with even more bad news as David Morgan II was injured in the Vikings 22-10 win over the Carolina Panthers. He left the game in the third quarter with an apparent knee injury. 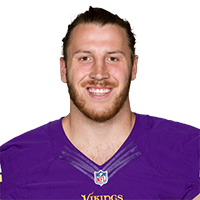 Even before the injury, it appeared that Rhett Ellison had surpassed Morgan and regained his job as the blocking tight end for the Vikings, as Morgan only saw action on 3 offensive snaps (6%) and 4 special teams snaps (15%), far fewer than Ellison’s 21 and 16. Vikings head coach Mike Zimmer remained vague on the subject of Morgan’s injury and wouldn’t give a timetable on his return, but did say that he wouldn’t be put on injured reserve.